When Sunny Lee was 8 years old, she sat her parents down in their suburban-Boston home and made an announcement: “I’m going to be a chef.” Her Greek mother, whose specialty was toast, and her Korean father, who dabbled in soups, took the news in stride. But seven years later, at 15, Lee was cooking professionally — well, she was busing tables, plating salads, and mincing the occasional shallot at an old-school Italian restaurant called Vincenzo’s above her mother’s flower shop in Andover, Massachusetts. So she immersed herself in the stuff, first with a pop-up and later at the Korean BBQ and karaoke restaurant Insa in Gowanus, where she earned a reputation as a banchan savant. 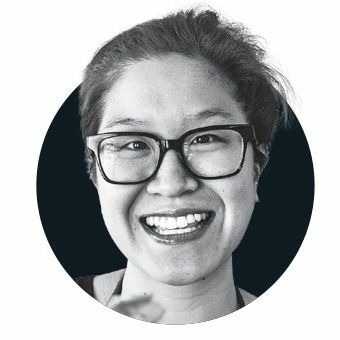 This fall, she’ll open Ajjuma in Williamsburg with a rotating selection, both traditional (soy-braised soybeans) and new wave (celtuce with clams and walnuts). There’s a full dinner menu, too, plus a late-night one, and such Brooklyn-­Korean notions as dumplings stuffed with sweet potatoes and greens, inspired by a recent pierogi pilgrimage to Greenpoint. In defer­ence to local vegetarians, cooking them in schmaltz is optional. Ajjuma, 318 Bedford Ave., nr. S. 2nd St., Williamsburg; November.